Django Dev. Web Unit. Advanced substitute to boring localhost. 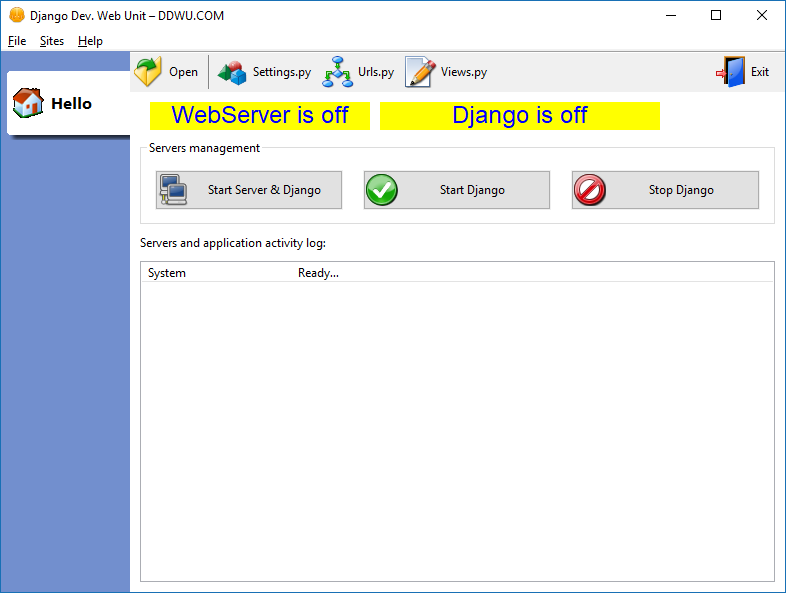 Easy to use control panel to manage local fully integral development environment consist of web server and django application. No third party apps or software required (except python 3.5+). Easy to use django application boilerplates. High perfomance development web server with SSI commands support. In short it's new develpment platform for django developers allowing rapid host management and project deployment.